We all understand the importance of email list growth in our pursuit of a profitable blog, right? That’s partly my fault. I’ve chosen to email in a different niche than where I get the vast majority of my pageviews. My blog is a mommy blog, but my email list is a blogging tips list. So, it figures that it takes me a little longer to grow my list than some, because the majority of people viewing my blog posts aren’t the people I’m trying to attract as subscribers. In fact, I didn’t even have an “email list strategy” AT ALL for the entire first year that my blog existed! And I didn’t feel like skipping email was holding me back either. 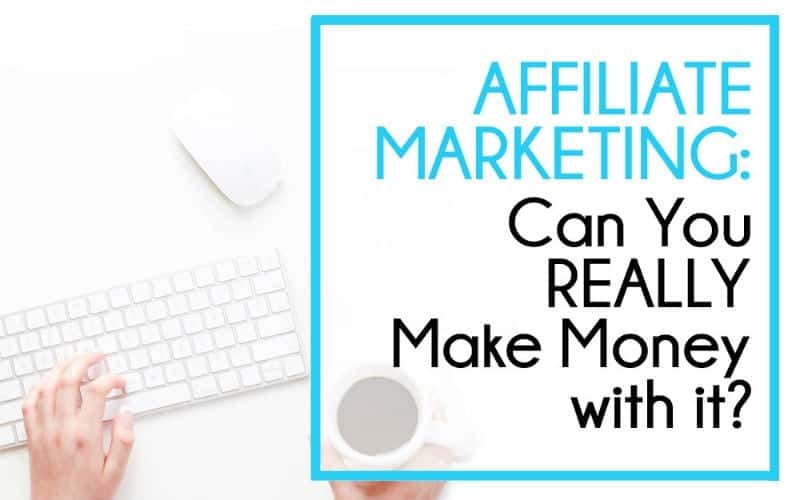 This blog was generating around $5000/month without an email list – but the lack of security, the inability to connect with an audience, and the inability to grow my income beyond what it was already prompted me to start a list. For the record, THOSE are the top 3 reasons that an email list is so important to a blogger. 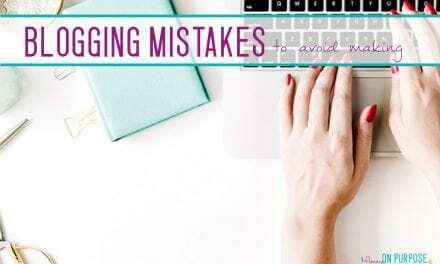 We NEED to be in pursuit of these three things if we want our blogs to become sustainable businesses, which means we NEED to grow our email lists. SO, about a year in, I figured it was time to start emailing. I did all the things. I purchased a good plugin for forms, researched and chose an email service provider, created tempting freebies for my target readers… and waited. Let me tell you, my list growth was S.L.O.W. After about a year of actively working to grow my list, I’d reached 7000 subscribers. That’s around 135 subscribers per week. I’d see all these posts titled things like “how I grew my email list by 1000 subscribers in 7 days!” and I’d wonder just what I was doing wrong. (You know, besides the whole emailing in the wrong niche for my blog thing.) I mean, I know that I don’t get thousands of page views per day on the content that was written for my target subscriber, but I DO sure get more than a few hundred views per week. One of the first tips I took away and immediately implemented was this email list exploding tip. (Well, it’s been explosive for MY list anyhow.) The most amazing thing about this strategy is that you don’t need any more page views OR any more freebies created to see results! Just this – start a closed niche Facebook group, and ask if people would like to subscribe to your list upon request to join. I already have a popular + active Facebook group for bloggers (it’s free + awesome, join it here! )… and honestly I never even CONSIDERED this before. I add up to 100 people per day to the group. 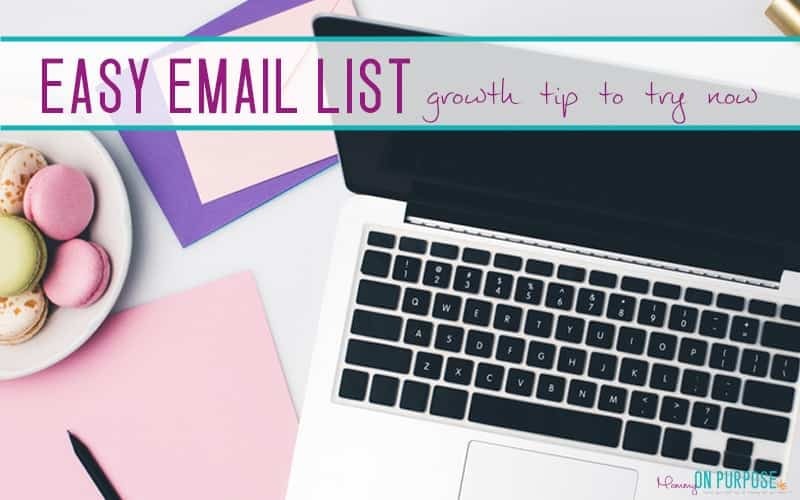 Believe it or not, I’ve found a few other REALLY awesome things about this email list growth strategy that go beyond growing my list! I set THREE questions, not just one, for people who want to join. 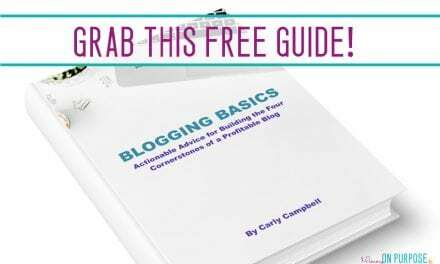 The first question is a “segmenting” question – do you have a blog? If you do, leave the URL! I am SHOCKED at how many people say “No, but I really want to start one”. WELL. You want to start one? You’re ALMOST my target reader! Allow me to tag you as “hasn’t started”… so I know how to email you specifically. If you were using this same tactic to grow an email list in the parenting niche, perhaps you’d ask “What’s your biggest parenting struggle?” or in the budgeting niche “What’s your biggest financial concern?” and you would TAG these people according to their answers when you subscribe them to your list. A segmented and tightly niched email list is SO beneficial. When you have a segmented email list, you KNOW that the stuff you’re sending is reaching the people who are actually interested in it. People who just want to drop links and leave. Links to their blog posts, links to their products, links to things they affiliate for… sigh. I’m finding that people who are willing to answer a couple simple questions are the people who WANT to be in the group to learn and to contribute. You don’t have time to answer a few questions? I don’t have time to delete you later for spamming, I’ll just decline you now. Since setting the questions I’ve had far fewer posts to delete and users to block! Woohoo! I just love that you wrote this today! I requested to join a group a few days ago and noticed that one of their entry questions was, “Would you like to subscribe and receive my free […]”? I was like, light bulb! 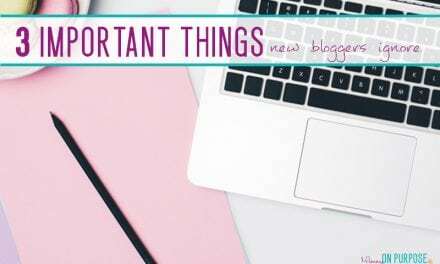 So I immediately set up an entry question on my blogger support group and ALL who have requested to join in the last few days have left their email! It is a great idea and I’m glad you added more to it with this great post. Segmenting is also a huge part of building an email list, and what better way to do this than through some simple Facebook questions?! And on a side note, you’re so right about expecting people to answer a simple question upon entry. I have a Facebook group that’s not related to my blog at all and it grows by the day. But many people don’t want to answer ONE simple question in order to be approved! It make my job easier to eliminate future spamming for sure. Thank you again for sharing these great tips! I’m at about 100 email subscribers right now and I swear I’ve read every single post about how to grow an email list. Time to hunker down and get to work! Thanks for sharing Carly!